Garage door supply, installation and repair throughout the York area. CS Garage Door Services are your local garage doors experts looking after customers in the York area. CS Garage Door Services are your local garage doors experts looking after customers in the York area. CS Garage Door Services have a built an outstanding reputation for repairing and installing quality garage doors that have been constructed by some of the worlds leading manufacturers. Our manufacturers include Teckentrup, Hormann, Gliderol and CarTeck to name just a few. With more than 10 years of experience in the industry, make CS Garage Doors Services your first call for all things garage doors! Up and over garage doors remain a popular option with our customers in Yorkshire. We work together with a range of suppliers to provide a door that meets your requirements. 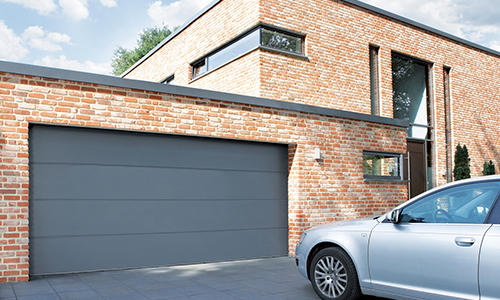 SeceuroGlide roller garage doors are manufactured in the UK to an extremely high standard, comprising of double-walled aluminium with an integrated insulated centre. 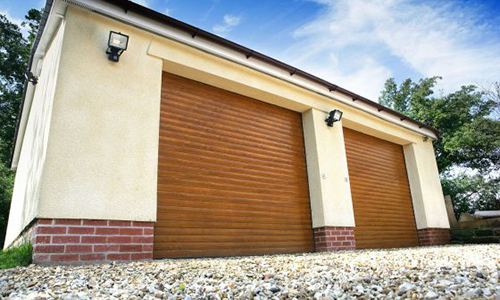 Our sectional garage doors integrate the highest standards of design, security, functionality and reliability, meeting our requirements for quality at competitive prices. Sometimes our customers in York encounter problems with their old garage doors, and a garage door repair can be a cheaper option than having a brand new garage door supplied and fitted. We have extensive experience in fixing a wide range of garage door faults on all types of garage door. CS Garage Door Services supplies, installs and repairs garage doors throughout York and the whole of the surrounding area, including Fulford, Heslington, Nether Poppleton, Haxby and Wilberfoss. Call us today for a free quote or download one of our brochures from this page. "We are very pleased. Although original delivery and installation date was delayed, Chris kept us informed throughout the process. Good, friendly customer focused service. Would certainly recommend." "Thank you for the great job you did on the installation of my new garage door. I could not have asked for a better job to be done. Everything was completed in a timely matter with little inconvenience to myself or my family. The door looks great!" "CS Garage Doors came out on a Sunday to provide an estimate for our garage door. They showed up the following day and completed the job. We would highly recommend them to our friends and neighbours."